Viknesh Vijayenthiran May 10, 2018 Comment Now! 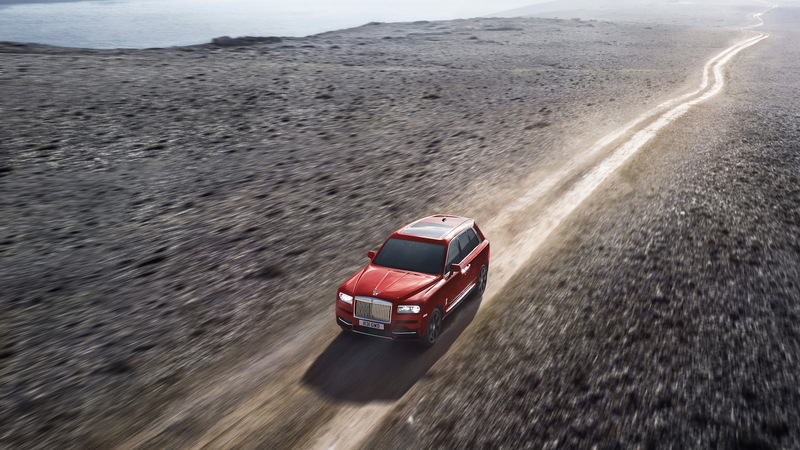 It may be named after the largest gem-quality rough diamond ever found, but Rolls-Royce's new Cullinan ultra-luxury SUV is certainly no diamond in the rough. 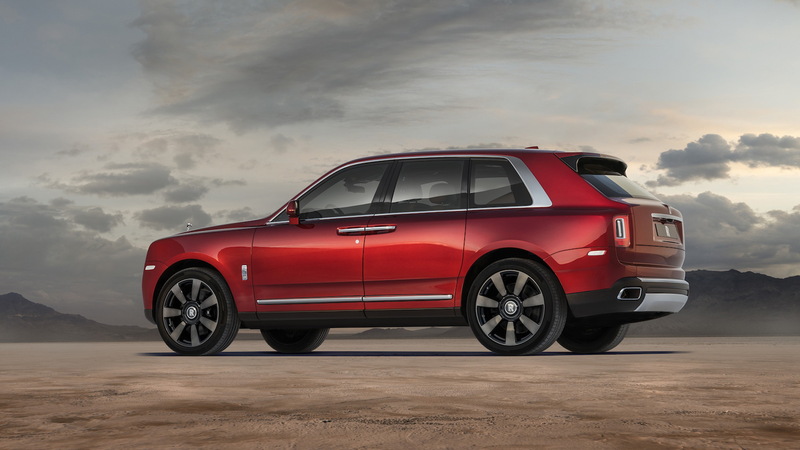 It's polished from the get go and answers a direct call from Rolls-Royce customers seeking a vehicle that can handle any terrain together with the effortless luxury the company's cars are renowned. Rolls-Royce also has a bit of history in off-road vehicles as the company's founders, Charles Rolls and Henry Royce, competed in rigorous overland adventures such as the Scottish Reliability Trials and the London to Edinburgh event and the Alpine Trials with early Rolls-Royce models to establish the brand. The design of the Cullinan is certainly a breath of fresh air given the current onslaught of high-riding hatchbacks and wagons masquerading as SUVs. 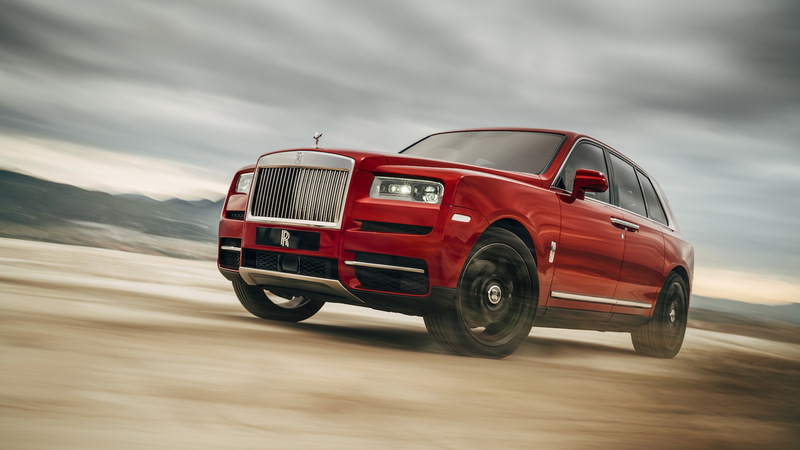 The Cullinan has a boxy ruggedness and a commanding ride height, yet its design remains as elegant as any other model in the Rolls-Royce lineup. Even the massive 22-inch wheels don't look out of place here. The ride should also be what one expects of a Rolls-Royce, thanks to the Rolls-Royce-exclusive aluminum spaceframe architecture that debuted in the latest Phantom underpinning it. The platform integrates self-leveling air suspension that automatically lowers the vehicle about 1.5 inches upon entry. And when in off-road mode, the suspension actively pushes down any wheel it detects losing traction to ensure every wheel is constantly in contact with the ground. Also aiding off-road capability are new all-wheel-drive and rear-wheel-steering systems. 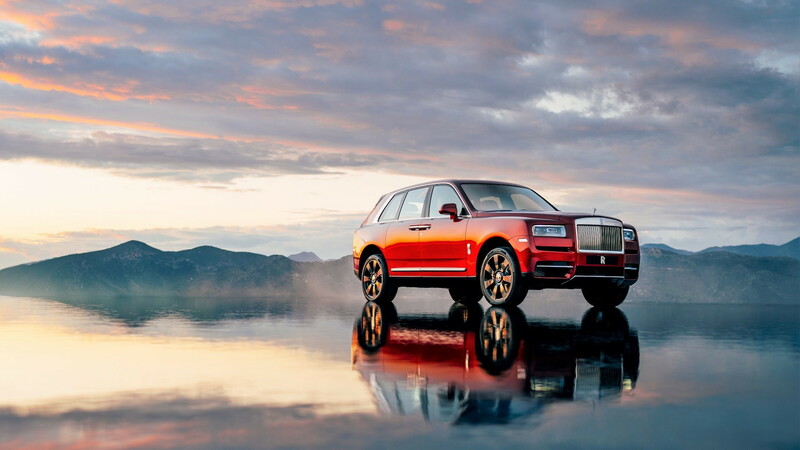 Meanwhile, ensuring the Cullinan will be able to power up any hill is a 6.75-liter twin-turbocharged V-12 generating 563 horsepower and 627 pound-feet of torque. The monster of an engine, which develops its peak torque from just 1,600 rpm, will easily hustle the 5,864-pound Cullinan to its governed top speed of 155 mph. The length of the Cullinan is 210 inches, which is smaller than the Phantom though still longer than most vehicles on the road. There's an automatic tailgate, which Rolls-Royce refers to as a clasp, and here owners can fit a pair of seats and a small table—perfect for the next game of polo. Inside, the cabin of the Cullinan combines authentic Rolls-Royce luxury with simple, symmetrical functionality. The center stack is framed by hand-finished metal pillars and at the top of the dash is a newly developed Box Grain leather in black that's said to be durable and water resistant like the leather used on high-end luggage. Supporting this upper section is a strong band of wood that is molded in three-dimensions and features a grain in an outward, flowing pattern. Like any Rolls-Royce, the rear seats are where you want to be, access to which is via a pair of suicide-style rear-opening doors. Two rear configurations are offered: a three-seat bench or two individual executive-style seats. With either combination, the seats fold electronically and are isolated from the trunk via a glass partition. Speaking of the trunk, maximum storage is 21 cubic feet, rising to 68 cubic feet with the rear seats folded. Potential Cullinan buyers may want to consider the Bentley Bentayga as an alternative. And in a couple of years, Aston Martin's revived Lagonda brand will enter the ultra-luxury SUV space with a radically styled electric offering. Pricing starts at $325,000, which is about $100k more than the Bentley. 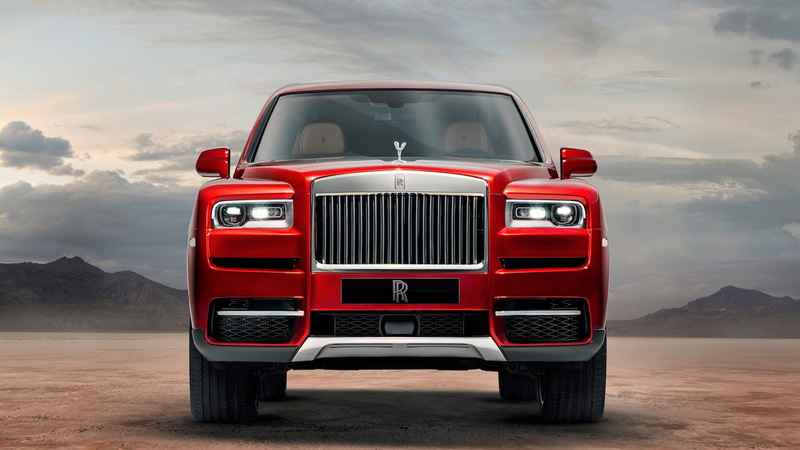 Of course that figure can easily be inflated thanks to the myriad of options on offer through the Rolls-Royce Bespoke personalization division.